Born in 196O in Sweden, Liz Nilsson is a multi disciplinary artist that shares her time between Dublin and south of Sweden. Liz studied art and textile design in Sweden, followed by an MA at Goldsmiths College in London, 1991-93. She also holds an MA in Social Engaged Practice, Limerick School of Art and Design, 2O16. Using her experience as an artist, designer, facilitator and curator, she fabricates site-specific collaborative projects which investigate the connection between place, space and belonging. Liz also have a strong interest in visual rhythm, pattern and repetition. 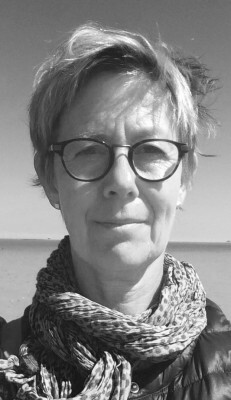 She incorporates print, tactile mark making, photography and drawing in her projects, concluding in installations, printed compositions and socially engaged projects. Liz continuously exhibits and initiates projects in Ireland and internationally. She is represented in national and international collections and is in Ireland featured in the permanent collections of The National Museum and the Office of Public Works.